As a writer, creative writing teacher and evergreen student, books about creative writing are special for me. Reading a book on creative writing book is like sitting with another writer, and learning their tools and tips as they take you through their writing or teaching journey. 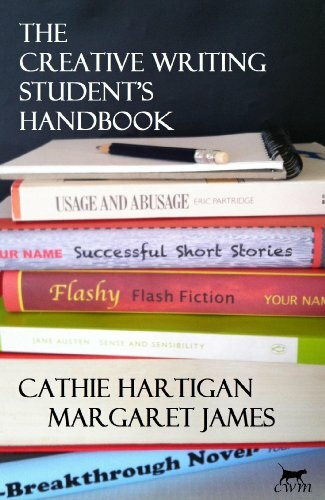 Cathie Hartigan and Margaret James’s book is packed with creative writing know-how that they’ve taught to students over the years and practiced as authors & writers themselves. From chapters on finding your voice, to getting the basics of creating characters and plots right to building the foundations of a solid story, there’s a lot of creative writing nitty-gritty in this book. What’s particularly interesting is that they also talk about topics that are often not mentioned in other creative writing books. For example, how to write flash fiction, craft a novella and how to promote your fiction through a blog. As a non-fiction writer, who’d like to transition to writing fiction, and try my hand at shorter pieces of fiction, all of this, and in general everything they’ve mentioned in chapters 5 to 12, is what I found much more engrossing than the first four chapters. With lots of examples sprinkled across the text to help the writer understand how to really create a beginning or character or story arc, The Creative Writing Handbook is all about showing you how to do a piece of writing rather than just telling you how to. Who is this book recommended for? I’d say anyone who wants to learn how to start writing any sort of fiction, or a writer, who is already knee-deep in creating stories, but needs a book to refer to every now and then. What can you do with this book? After you’ve read through the entire book, go back to the chapters that you want to explore more and re-read + put the lessons in practice. The thing about being a writer is that even if you read tonnes about the craft of writing, you’ll still have to dip your fingers in ink. As for me, I’m diving back into the flash fiction and novella chapters, and also getting myself a copy of the author duo’s ‘The Short Story Writer’s Workbook’. So go on, get your copy of The Creative Writing Student’s Handbook and learn how to craft a crackling story! Thank you Margaret James, for sending me the book to review! Are you an author with a book that you’d like reviewed on my blog? Do get in touch via Twitter (@4GGorgeousGreen) or email me at chandanabanerjeewrites@gmail.com. Very informative and insightful review.